The Southside Johnny gig Commandments; they’re important, and you should always abide by them. 1st Commandment – Watch the support band. In my experience of, ahem, one or two Southside gigs, the support is always worth watching and Curse of Lono had been on my radar for a few years. Most of the audience followed the 1st Commandment and made the early start to catch Curse of Lono doing their second Southside support tour. 2nd Commandment – To reinforce the 1st Commandment, the support band(s) always get the same level of sound and lighting support as the Jukes. 4th Commandment – Show your appreciation for the support band(s). Jukes followers are fiercely loyal, but they’re music fans and if a band is good and gives it a bit of wellie, they’ll get right behind them. Which meant a great reception for Curse of Lono. 5th Commandment – Expect the unexpected. Bear with me while I digress. 42 years ago I saw the first incarnation of the Steve Gibbons Band touring on the back of their Top 10 hit “Tulane”. I was a fan. I got the band to autograph the lyric sheet of my copy of “Any Road Up”. I discovered Steve Gibbons at about the same time I discovered Southside Johnny. And the unexpected bit? Two days before the gig I discovered that the latest incarnation of SGB had been added to the bill for the Empire show. Which, added to the fact that ‘Our Man Oop North’, Steve Jenner, had reviewed a Steve Gibbons gig in Leek for us a few weeks ago, added an extra layer of weirdness. The band played in the way that you would expect professional musicians with a few miles on the clock to play. They were tight and assured, allowing Steve Gibbons to get on with what he does best. And he’s still got the voice; the man is his seventies and he can still do it on the big stage. It was a relatively short set featuring original material, covers of rock ‘n’ roll classics and, of course, some Bob Dylan. It was a bit of a strange experience hearing “Watching the River Flow” covered in the same style I’d heard it covered 42 years earlier. And then it’s time for Jukesville. 6th Commandment – Ignore the setlist. It’s a standing joke with band and fans. The only reason it’s there is to give the fans at the front a chance to gamble on how far the band get down the list before taking the scenic route (usually two or three songs, if you ever want to place that particular bet). 7th Commandment – Prepare to be entertained. This is a phenomenal bunch of musicians. They deserve to be namechecked individually. The Asbury Jukes are: Tom Seguso (drums), John Conte (bass), Jeff Kazee (keys), Glenn Alexander (guitar), Chris Anderson (trumpet), Neal Pawley (trombone), John Isley (sax) and Southside Johnny. And let’s not forget Joe Prinzo and Hood who hold it all together. I haven’t mentioned vocals because they all can, and do, sing. Check out the harmonies on “Walk Away Renee”. 8th Commandment – Show your appreciation. These guys are seriously good players. As an ensemble they build a solid platform for Southside to deliver his honey-over-gravel vocal, but everyone gets at least one solo during the set and Jukes fans show their appreciation of the solos in the same way the audience in a jazz club would. And it’s always well-deserved. 9th Commandment – Expect the unexpected (I know, but it’s worth repeating). The band doesn’t know what’s coming next, so why would the audience? There are some songs that you would expect to hear every time (“The Fever”, “I Don’t Want to Go Home” and probably “Walk Away Renee”) but the rest of the set’s up for grabs. Southside has a huge back catalogue to choose from and the band has a phenomenal repertoire of covers to call on, so the set includes seventies classics like “Love on the Wrong Side of Town”, “This Time Baby’s Gone for Good” and “Without Love”, “Cadillac Jack” and “Woke Up This Morning” from the blues album and “Spinning” from “Soultime”. Throw in the covers; “Ride the Night Away” (J Geils Band) and the Willy DeVille song “Mixed-Up, Shook-Up Girl” and you’ve got a great night. 10th Commandment – It’s all about the band. In Johnny’s opinion, this is the best incarnation of The Jukes (watch out for the interview in a few days) and the partnership with Jeff Kazee is a huge part of that. Both have superb voices and the combination of Jeff’s high tenor and Johnny’s rich baritone is a thing of rare beauty. And that’s before we even get to the quality of the playing. And that was Friday night at Shepherd’s Bush Empire; I can’t think of a better way to spend a Friday. There was a fleeting reference in the interview I did before the soundcheck to retirement. You never know if any given Jukes gig is going to be the last you’ll see, so make the most of it. Next time they’re in the UK, I’ll see you down the front. Ok, a couple of little stories for ya from Shepherd’s Bush Empire. First one’s from 2010. Backstage at a Jukes soundcheck, I was loitering waiting for Southside Johnny to arrive for an interview and trying pretty unsuccessfully to pretend I wasn’t nervous. I mean why would I be, this guy had only been a hero of mine for over thirty years and this was my first interview with him. Think about something else, listen to what’s happening down on the stage at the end of the soundcheck. So I did and it was unusual; it was Jeff Kazee singing something I had never heard at a Jukes show. Jeff had missed the European mainland leg of the tour because of a family bereavement and was doing his first gig in London. 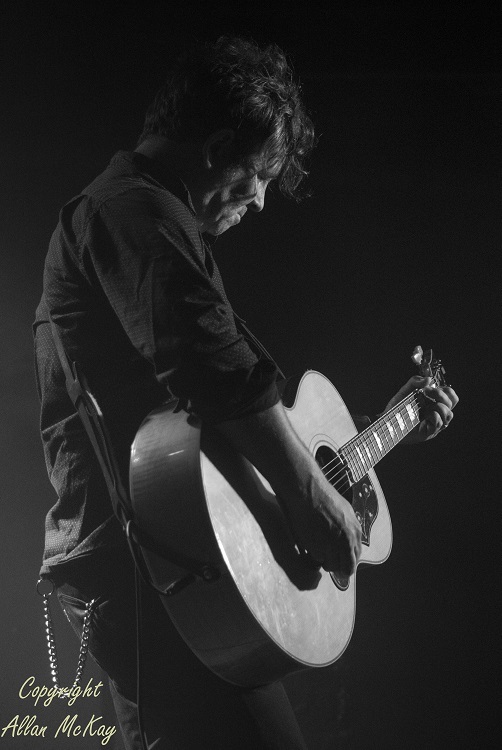 Fast forward about four hours and that little bit of distraction comes back to hit me like a sledgehammer as Jeff lets out his feelings in the most public way with a heart-rending, tear-jerking version of “Many Rivers to Cross”. If you wanted a definition of catharsis, this was it; it would have melted a heart of stone. Did I cry? And then some, and I wasn’t on my own. It was the most moving thing I’ve ever experienced at a gig, and that’s a lot of gigs. Skip forward just a year to October 21 2011. The Reverend Harold Camping had predicted (for the second time) that the world would end on that day. On stage at the Empire, it was beginning to look like he might be right. From the start of the set, there were complaints from the band about the monitor mix and just as the crew got that sorted out, another gremlin raised its head in the shape of Glenn Alexander’s guitar amp; it wasn’t amplifying. You’re on stage, the set’s just catching fire and suddenly your equipment blindsides you. Take losing your wi-fi for an hour and multiply it by a hundred; you’re getting close to the level of frustration on stage left that night. Long story short, it took three amps before the glitch was solved; the only problem now was to get the gig back on track, so what would the mainman do. 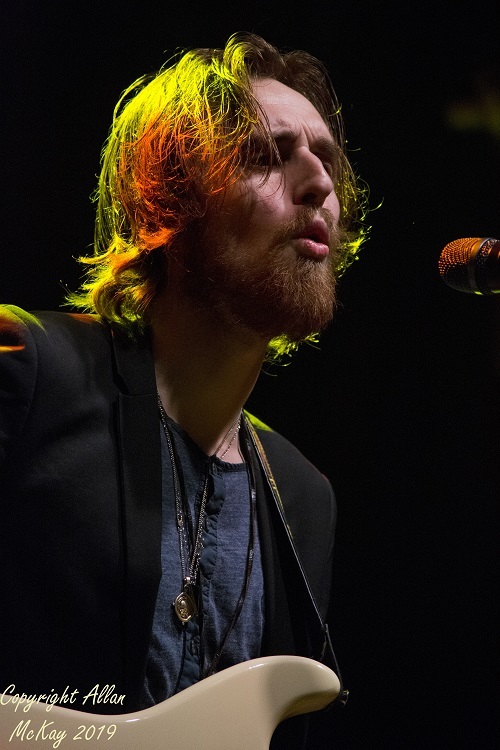 The mainman called a Sonny Boy Williamson tune, “Help Me”, throwing the spotlight back at Glenn to harness his frustration and kickstart the show; which it did, with a vengeance. 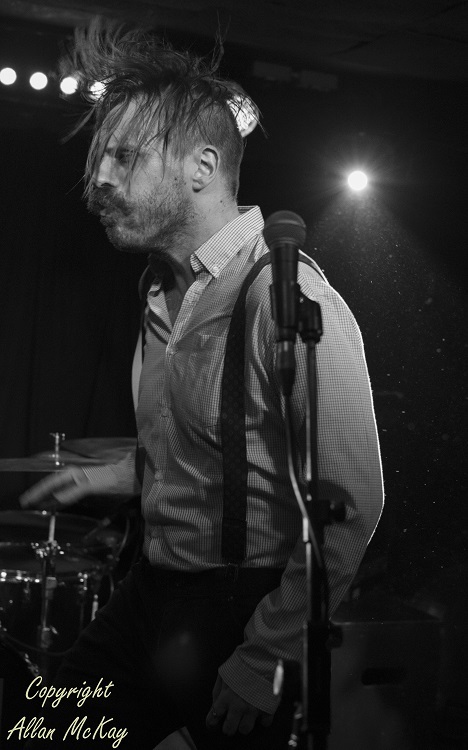 That’s a great band and bandleader in action right there. And, honestly, it’s not for everyone. If your thing is a setlist that’s been rehearsed to within an inch of its life, absolutely note-perfect and with a synched lighting plot (and I’m honestly not knocking that) this isn’t the gig for you. However, if you want a set that’s unpredictable, packed with powerful vocal and instrumental performances and great tunes, this definitely is for you. And I haven’t even mentioned my favourite combination yet. Cheese and onion, sweet and sour, trouble and strife don’t even come close – it’s horns and Hammond, Hammond and horns (see, it’s even alliterative). The recipe’s pretty simple; get seven of the best live musicians you can find, make sure they know all of (ok, most of) the songs and give them plenty of opportunities to express themselves. When those guys are Jeff Kazee (keys), Glenn Alexander (guitar), John Conte (bass), Tom Seguso (drums), John Isley (sax), Chris Anderson (trumpet) and Neal Pawley (trombone) each performance will be special and different. Now, that I will go see and hear any time. So why am I telling you all of this now? Easy, there’s a couple of those increasingly rare opportunities to see Southside Johnny and the Asbury Jukes in the UK on a mini tour in March 2019. 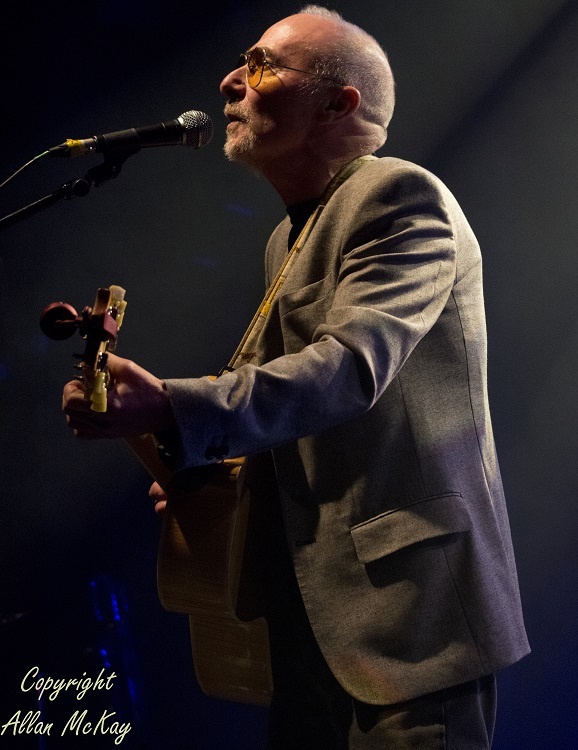 The band’s playing Glasgow (St Luke’s) on March 19th, London (Shepherd’s Bush Empire) on March 22nd and Holmfirth (Picturedrome) on March 23rd and 24th. Why two gigs at The Picturedrome? Because the first one sold out – obviously the North of England knows about good music. These UK gigs are precious because it ain’t cheap to bring an eight-piece across the Atlantic and you never know how long it is until the next tour. So get yourself some tickets for one of the remaining shows and treat yourself to one of the best live bands in the business. What will they play? I don’t know and, most likely they don’t know, but it will be special and it won’t be anything like the set they played the previous night. See you at The Bush. 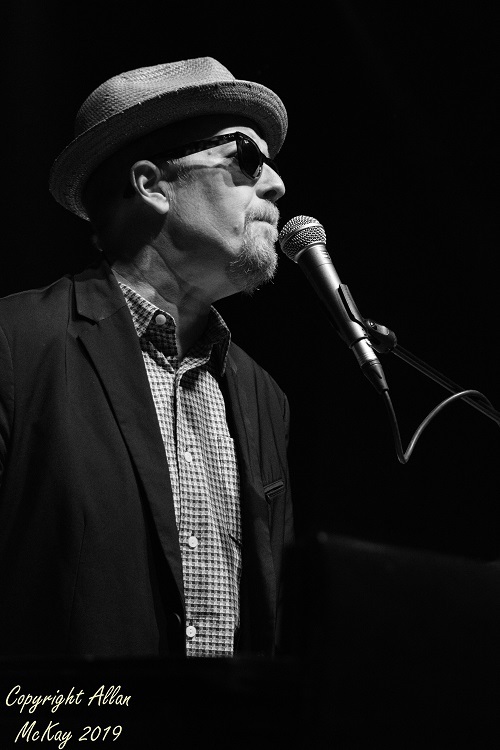 Glenn Alexander – If you’ve been following closely, you might have heard about one of my favourite nights of the year watching Southside Johnny in Kentish Town. I’ve been photographing various incarnations of The Jukes for about 10 years now and this was probably the best opportunity I’ve had. You have to be on the ball to photograph these guys because you have no idea what’s coming next; trust me, I’ve seen them dozens of times. What you can predict is that there will be plenty of photo opportunities. Glenn Alexander is a stunningly good guitar player (and a lovely guy) who has been known to throw a few guitar hero shapes. During the three songs I had (before the Gilson Lavis guest appearance), I managed to catch this during a solo. Andy Teece – You might not have heard of HVMM (pronounced ‘hum’) yet; I’m pretty certain you will. They’re a bunch of very good musicians who have gone down the loud route but don’t just produce noise; the rhythm section’s one of the best I’ve heard in a long time and guitar player Ebony and singer Andy Teece constantly compete for attention musically and visually. The first time I saw them, the lighting was so bad that I only managed to get one good shot of Ebony, but promised myself (and the band) that I would be back for more. So I found myself at The Sebright Arms on a Wednesday with heavy duty earplugs at the ready. Every member of the band is eye-catching, but Andy struts and prowls around the stage like a pinball hitting invisible bumpers. He’s difficult to capture but the rewards when you do are exceptional. This was my favourite shot. 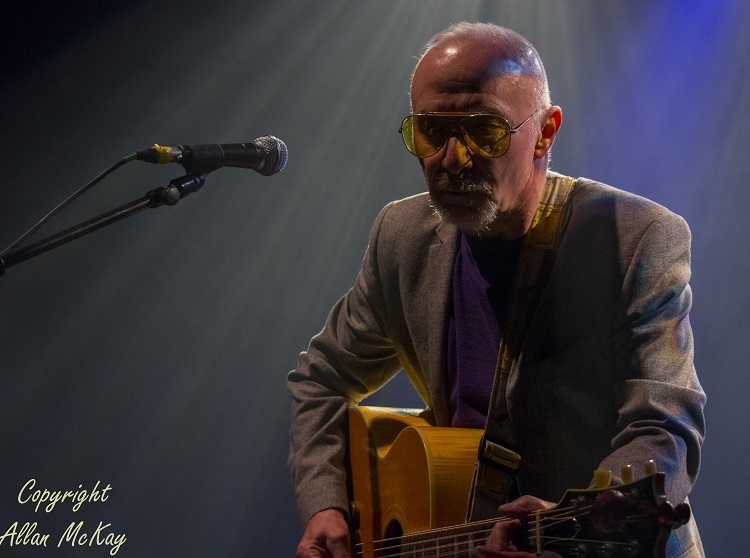 Graham Parker – I first photographed Graham Parker nearly forty years ago at Dundee University Students’ Association. This year, Stone Foundation gave me another opportunity when Graham guested at their Shepherds Bush Empire gig in October (thanks for the pass guys) and I was determined to make the most of it. I knew he was guesting during the band’s set, but I wanted to get a good shot during the solo set that capture the passion of his delivery. It was a surprisingly upbeat set, but still delivered with blood and thunder. The white lighting from behind just made the shot perfect. 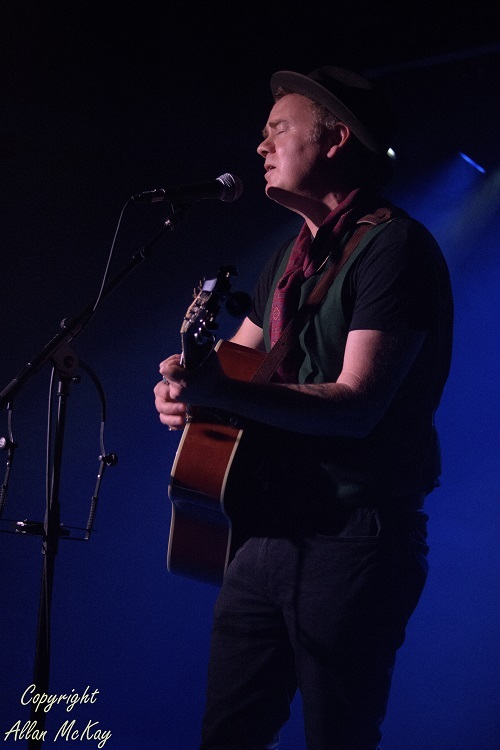 Dean Owens – If you ever read anything on MusicRiot or my Facebook page, you’ll know that I’m a fan of Dean Owens; his songwriting combines lovely melodies and lyrics that focus on contemporary Scotland with some excursions into history and more remote locations. Did I mention his voice? Oh, he can sing and then some; you should really go and see him. I have, quite a few times, but I’ve never been able to get the killer shot that really did him justice. So you keep trying and when he announced that he was supporting Grant-Lee Phillips at The Borderline, I was there (with the Riot Squad of course, they’re huge fans as well). After a bit of experimentation with angles, I managed to grab this; I think I finally got that killer shot. Grant-Lee Phillips – And how about this? It’s a bit like buses; you wait months for one and then two come along almost side by side. After Dean had done his set, Grant-Lee Phillips took the stage for his set. After the work I’d put in on getting ideal angles for Dean, it was a lot easier with Grant-Lee. The completely uncluttered stage helped as well because there were no unwelcome visual distractions. After seeing this one on the screen, I decided that it couldn’t get better and the best thing to do would be to go and drink tequila with Dean, his manager Morag and my gig buddy Paul. You can guess how that ended. As gigs go, music journalism and photography is about as good as it gets for this ‘wee boy fae East Wemyss’. When you do something for over a decade you’re going to have a few frustrating experiences; what you hope for is that the genuine bangers even up the balance, maybe even tip it into the positive. It’s no exaggeration to say that 2017 has been astonishing year with some moments that would have my eighteen-year-old self wondering how on earth all that happened. But even with the volume anchored at ten, there were some moments when it sneaked up to eleven (‘it’s one higher’). In no particular order, these are some of those moments. 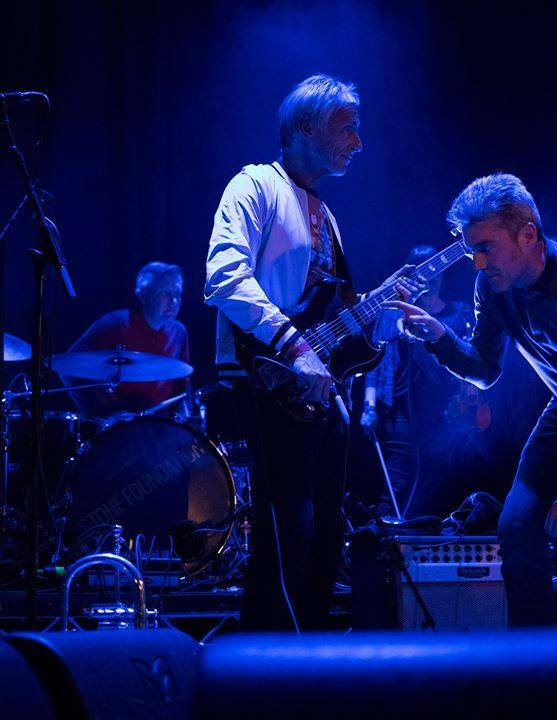 Stone Foundation @Islington Assembly Hall – I’ve been a fan of Stone Foundation since the moment I stuck a promo of their album “To Find the Spirit” in the CD player about four years ago. It hit me with that sucker punch of Hammond and horns from the first bell and followed it up with a hit of pure twenty-first century British soul. I’ve watched as the band’s abilities and sheer bloody hard work have steadily moved them up the rankings. I guess it helps that they’re such a great bunch of people as well. 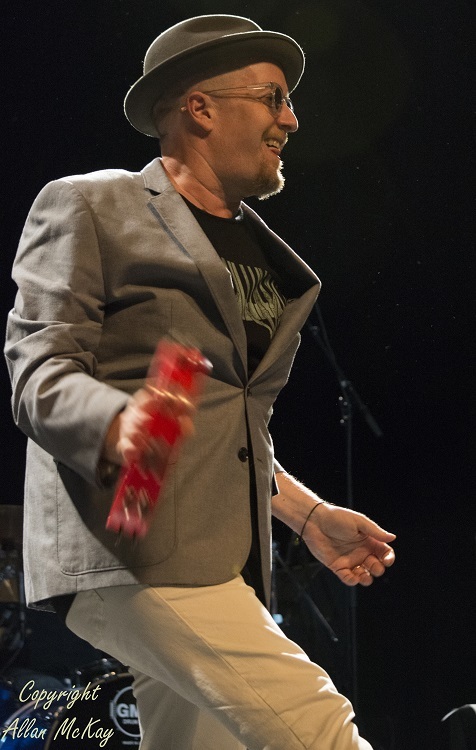 Southside Johnny and the Asbury Jukes @The Forum, Kentish Town – I first heard Southside Johnny and the Asbury Jukes in 1977 and I was hooked instantly. I’ve never fallen out of love with that voice and the sound of that band (Hammond and horns again, with big rock guitars as well), but I could never have imagined the first time I heard “The Fever” it would mean the start of a long-term relationship rather than a one-night stand. Fast-forward to the second decade of the twenty-first century and things get a bit intense – I was asked to do some green room shots of Gilson Lavis presenting Southside with a pen and ink portrait of himself he’d done a few months before. And then I was asked to interview Gilson about his upcoming New York art exhibition and to take some photos of the gig. I was in the green room with one of my all-time heroes and his incredible band, shooting the breeze and listening as the band arranged a guest performance with Gilson before being thanked by one of the band for a review I’d written of his side project. HTF did that happen? And then they went on to play a storming set with Gilson guesting on “Key to the Highway”. I still can’t believe it. Stone Foundation @The Empire – This one’s easy; you can get all the background above. No surprises this time, I knew from the off that Graham Parker was the support for this gig. I’ve always been a huge fan and I was at the gig with my old friend and sometime MusicRiot contributor Steve Jenner and his lovely wife Sue. While I was backstage sorting out my accreditation, I bumped in to Neil Sheasby, bass player and co-songwriter with Stone Foundation, who was also having a ‘pinch myself’ moment because Graham Parker had brought along Dave Robinson, former Stiff Records supremo, who was regaling the band with his seventies music business stories.. One of the things I was sorting out backstage was photo pit access. I mentioned earlier that SF had allowed access for the whole gig in Islington; This time they went one better; they highlighted the songs that would feature guest appearances later in the set and ensured that that the photographers had pit access. That’s proper attention to detail. The real magic moment came towards the end of the evening with a guest vocal by Graham Parker on his old Ann Peebles cover “I’m Gonna Tear Your Playhouse Down”. Magical because of a stunning performance by everyone on stage, but also because GP hasn’t played with a horn section in years and he’s said GP and The Rumour will never play live again. And a big shout to Jalen N’Gonda, the first support act (who was superb in a Marvin Gaye-style) and popped up during “What’s Goin’ On”. These guys know what they’re doing. Hannah Aldridge & Jetbone @Windlestock – The night after the gig above as it happens with the same audience plus Mrs M, who can go out because it’s not a school night. Anyone who knows me will know that I’m a huge fan of Hannah Aldridge. She writes powerful and moving songs, she has an incredible voice and she has those cheekbones. I never get tired of photographing Hannah; it’s a different visual image every time, but that bone structure is always there. Anyway, this time she’d brought along Jetbone from Sweden to play a support of their blues-inflected Southern boogie and as her backing band. I love a chance to photograph artists in different environments and this was a great opportunity. Towards the end of the set Hannah put her guitar to one side (got my interest already), picked up a tambourine (camera in hand) and went into full Janis Joplin mode (jeez, never thought I’d see that). 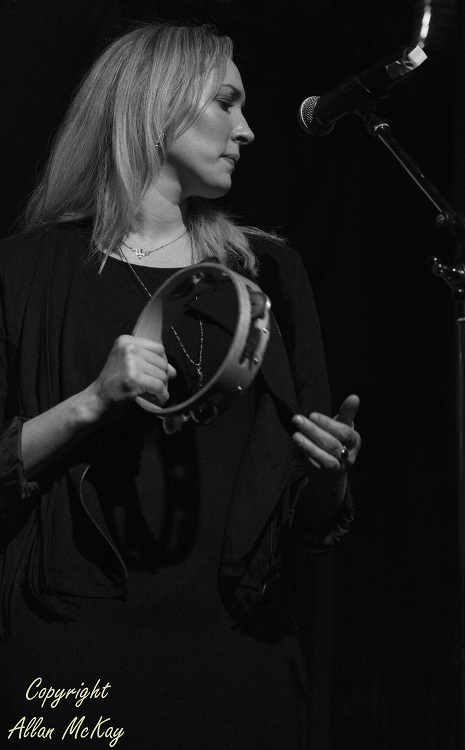 It was a night packed with stunningly good performances (including the opening set by Rebecca Reidtmann), but the tambourine thing made my night. Dana Immanuel & The Stolen Band (private gig) – I had a significant birthday a few days ago and invited a couple of bands, Deep Blue Sea and Dana Immanuel & The Stolen Band to play at the event. They were both superb. I’ve seen Dana a couple of times and the band is great, the original songs are superb and she knows how to deliver a powerful cover. Now these gigs are difficult, because audience chatter (seriously frowned upon I serious music venues, and rightly so) is almost inevitable as people catch and are perhaps introduced for the first time. Dana and the band took it in their stride and won over a crowd that ranged in ages from three (my great-nephew, who was completely smitten) to eighty-one (my mum and mother-in-law). They took a short break after a storming first set and returned for a second set with an audience that was particularly noisy. With no introduction they launched into an almost a cappella (a little percussion) two-part harmony version of the Janis Joplin classic “Mercedes Benz” which completely silenced the audience and immediately dragged attention back to the stage. Unconventional certainly, but they had the audience eating out of their hands after that. I’ve seen a lot of classic pieces of stagecraft, but that was probably the finest. If you’ve got any moments like those that you want to share with us, message us on the Facebook page or email musicriotboy@gmail.com. And thanks for following us. You never know where the next review’s coming from; could be the inbox, could be the letterbox, could be backstage at a gig. Yeah, it’s the last one. A couple of weeks ago, Glenn Alexander slipped this album into my greasy mitt backstage at The Forum in Kentish Town. Glenn’s the guitar player for Southside Johnny and the Asbury Jukes (amongst other things) and he released this solo album last year produced by the Jukes saxophonist, John Isley. If you’re a Jukes fan and you look at the credits for the album, you’ll recognise most of the names; when you work with world-class musicians in the day job, why not use those guys when you pursue your own vision? I’m not giving you a detailed biography of Glenn Alexander; you can find that anywhere. All I’m saying is that this album proves conclusively that Glenn is a lot more than just an incredibly good guitar player. The album opens with the fairly straightforward boogie of “If Your Phone Don’t Ring”; it’s great fun, the horns are every bit as good as you expect the New York Horns to be and it’s a joyous start to the show. Without reading the sleeve notes, it’s obvious that the second song “Earl Erastus” is deeply personal for Glenn. It hints at Jerry Reed’s “Amos Moses” and it’s a tribute to Glenn’s granddad, who raised six kids during the Depression; it has huge emotional power and a lovely New Orleans horn coda of his favourite hymn (I’m guessing) featuring a vocal from Oria Aspen. From there on in, it’s a melting-pot of the influences flowing over a teenager growing up in the centre of the USA; there’s the funky soul and Elvis-referencing “Memphis Soul”, the country feel of “I Picked the Wrong Day (To Stop Drinkin’)”, the horn-fired shuffle of “Get A Life” (featuring Southside on harmonica) and the slow blues of “Blues For Me & You”, a duet with Oria Aspen contrasting Glenn’s rough-hewn blues vocal with Oria’s more pure jazz stylings. You might think that was enough, but there are still surprises to come. 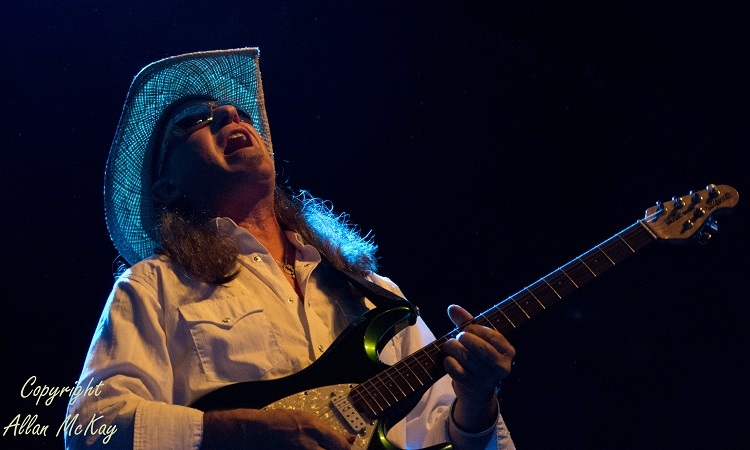 The album’s penultimate song, “The Odds Are Good”, proves that Glenn Alexander’s not just about melody and guitar solos; the lyrics are clever, and in the style of Dylan or early Springsteen. 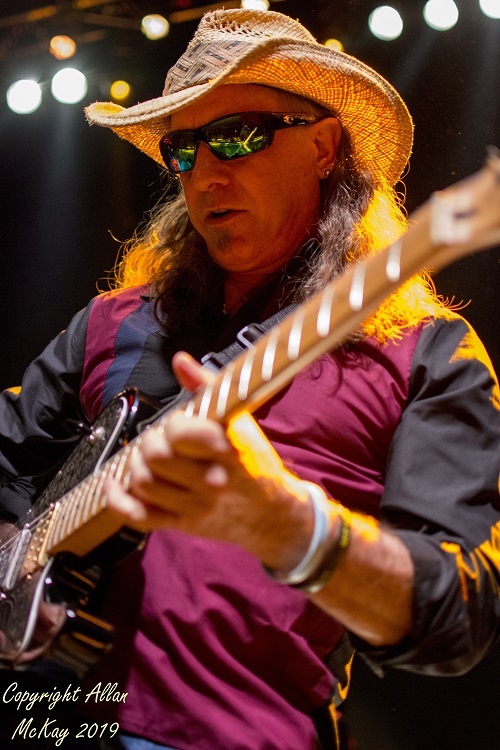 This guy is much more than a great rock guitarist, he’s a very gifted songwriter and a pretty good singer in a Joe Walsh kinda style. There’s no real commercial imperative behind this album, it was created for the sheer joy of making music with stunningly good players. Great songs, Hammond and horns; this is the business, what more do you need? “Glenn Alexander & Shadowland” is out now on Rainbow’s Revenge Records. 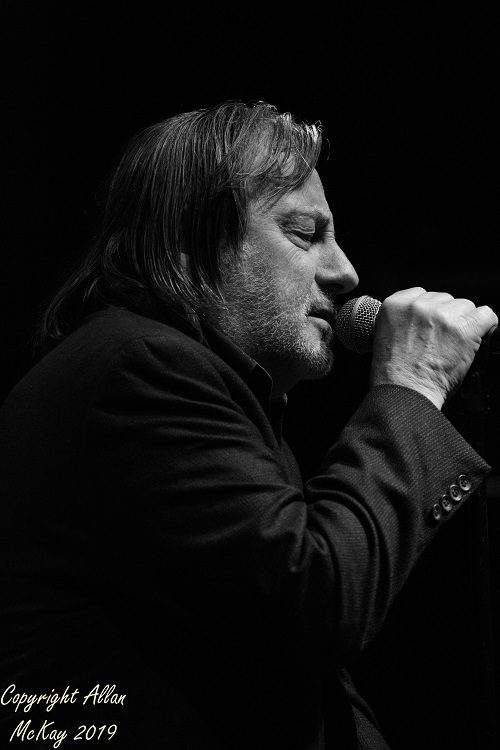 Want to know why Southside Johnny still has a fanatical fanbase after over forty years? It’s really simple: he has a stellar group of musicians working with him, they have a lot of fun, and the audience never knows what’s coming next. There are a few songs that are non-negotiable, but for the remainder of the set it’s like “Thunderbirds”; anything can happen. Where else would you hear someone drop a verse of the Ramones classic “I Wanna be Sedated” in the middle of an instrumental break. And, talking of surprises, who expected Gilson Lavis (Squeeze and the Jools Holland Rhythm and Blues Orchestra) to make a guest appearance for the blues classic “Key to the Highway”? And did you know that Johnny and Jeff Kazee are huge fans of Squeeze? It isn’t just about Southside Johnny; it’s about a group of eight people who are very good at what they do – take a bow Jeff Kazee (keys), John Conte (bass), Tom Seguso (drums), Glenn Alexander (guitar), John Isley (tenor sax), Chris Anderson (trumpet) and Neal Pawley (trombone) – and to enjoy every minute of it. They can all sing, so the harmonies are spectacular, and they’re a band, not eight individuals (don’t take my word for it, read Jay Lustig’s just-published interview with the man himself). Now if you come to a Jukes show expecting a carefully-choreographed run-through of the same songs they played last night, and the night before and so on, you came to the wrong show. The audience at a Jukes show expects to be surprised, they expect randoms (though I bet not too many expected “I Wanna be Sedated”) and they want the thrill of not knowing what’s going to happen next. Hell, most of the band don’t even know that. And what they got, from the piano intro and horn riff of “Love on the Wrong Side of Town” was about 135 minutes of old songs, new songs, Lyon/Kazee songs, Little Steven songs, covers, blistering solos from the horns, guitar and keys and just enough quiet moments to offer a contrast to the power of the rest of the set. And standouts for the night? Well, they hit the ground running with punchy versions of two early classics, “Love on the Wrong Side of Town” and “This Time It’s for Real” and then time-warped forward forty years to “Spinning” from “Soultime” and for over two hours it was a roller-coaster; all killer, no vanilla. You wanted blues; you got it. You wanted soul; you got it. You wanted rock; you got it. You got a singer who’s been in the business over forty years and still wants to go out every night and give every audience a unique experience aided and abetted by the best band in the business. It really doesn’t get any better than that, and every UK gig now is a bonus; make the most of it. Ladies and gentlemen, I give you Southside Johnny and the Asbury Jukes – living legends. 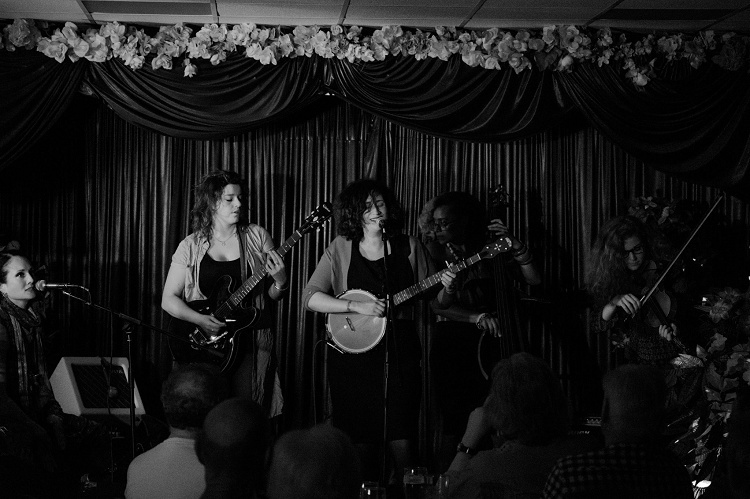 You can see the photos from the gig here. So why would anyone in their right mind want to take a four hundred mile round trip in foul weather while jet-lagged to go to a gig? Well, if it was the only opportunity in two years to see Southside Johnny and the Asbury Jukes in the UK, then it’s a small price to pay. And, let’s be completely upfront about this, I’m a fan and I have been for, well, let’s say a long time. I’ll give you a clue how long, I bought their first album, “I Don’t Want to Go Home”, in 1976. As you might expect with an eight/nine/ten piece band that’s been around for forty years, they’ve been through a few line-up changes; well, ok, Southside Johnny is the only member left from the original line-up, but you can call that evolution if you like. Following the release of the latest Jukes album, the superb “Soultime!”, the band has been on the road in the US, the UK and Europe promoting the album. And that’s why I was at Holmfirth Picturedrome staring at least four very watery seasons in the face in one day; I wouldn’t make this much of an effort for just any old band. Let me tell you what you won’t get at a Southside Johnny gig; you won’t get a performance that’s timed and sequenced to the millisecond to tie in lighting plots, dancers, additional backing tracks and live autotune. What you will get is eight stunningly good individual musicians pulling together to give a hugely devoted audience a great show. The tour is in support of “Soultime!”, so when the set opened with a storming version of “I’m Not That Lonely”, it was no surprise. “All I Can Do” and the lead track “Spinning” also appeared early in the set, while the ballad “Words Fail Me” featured in the encore. With a fanatical audience, each demanding to hear their personal favourite Southside song, and with forty years’ worth of Jukes albums to choose from (not to mention the odd cover), it’s always a bit of a high-wire act; and that’s why people go to see this band again and again, because they know that every show’s unique. It may not always be perfect, but it’s always different. On this night it took a couple of attempts to nail the intro to “It Ain’t the Meat (It’s the Motion)”; you have to expect a few heart-stopping moments when the acrobats are freestyling. While the band plays that familiar blend of rock and soul, the show has an unmistakable jazz feel. The horns (John Isley, Chris Anderson and Neal Pawley, playing saxes, trumpet and trombone respectively) have serious jazz credentials (as The New York Horns) as does guitarist Glenn Alexander. When the solos came along (and there were plenty of them), the audience applauded the soloists enthusiastically, in true jazz club style. The horn solos were astonishingly good (particularly John Isley’s solo in “Passion Street” which moved away from the smooth melodic feel of Joey Stann’s recorded version to an impassioned stuttering, staccato version) but occasionally the horns took stage centre, ramping up the excitement with New Orleans style counterpoint ensemble playing. The rhythm section of Tom Seguso (drums) and John Conte (bass) rarely catches the spotlight, but the band only works if they’re on the money, and they always are. 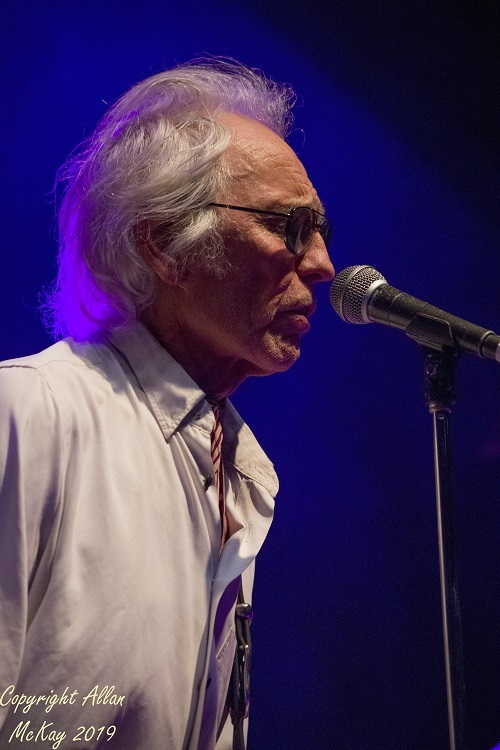 Jeff Kazee, now Johnny’s main songwriting partner is also the perfect onstage partner, his high, soulful tenor voice blending perfectly with Johnny’s rich baritone as a duettist and harmoniser. As for Southside, he still takes responsibility for pulling all the strings, but now he can rely on all of The Jukes to take the pressure off at any time. The only way you can pull off a gig like this is to have great musicians working with you; the downside of having great musicians in the band is that they get bored really easily. The challenge for Southside Johnny, through every single gig, is to balance those priorities and get the best out of the entire band. At The Picturedrome, the audience had a great time and the band looked they were having a ball as well. Job done. Now if only we could do something about that group we see at every gig, ‘the men who can’t clap on two and four’ (or any beat at all to be honest) and ‘the men who can’t carry a tune in a JCB scoop’, we’d all be much happier. You can find the setlist for the gig, courtesy of Miss October, here and photos from the gig here, courtesy of, well, me actually. And just a quick word about Broken Witt Rebels from Birmingham whose muscular riffs, powerful vocals and stage presence warmed the audience up nicely for the headliners. If you’re looking for something that’s easy on the ear to use as aural wallpaper for your commute or as background music for a dinner party, then stop right here; this is proper music. Southside Johnny has been making music with various Asbury Jukes for over forty years and compromise isn’t something that he’s about to start now. The quality of the songs, the playing and the arrangements is what it’s all about; always has been, always will be. Southside had fraught relationships with his various labels in the days when bands signed to a label and hoped that the label would make them successful but it hasn’t worked that way for a while now so Southside has moved on to a completely different way of working; he has control over the creative and business processes. ‘When’s the album being released? When it’s ready’. And “Soultime!” is well and truly ready. It’s taken a while (the last album “Pills and Ammo” was released in 2010), but Southside’s a very busy man these days; not only is he trying to keep an eight-piece rock and soul band in line, but he’s also working with his Americana project The Poor Fools, comprising various Jukes and some of the extended Jersey shore family. Through the various incarnations of The Jukes, Southside has always had a collaborator helping with songwriting and musical director duties; Steve van Zandt moved on to the E Street Band as Springsteen went up through the gears and Bobby Bandiera took on the ‘safe pair of hands’ role with Bon Jovi on his seemingly endless world tour. Which, after an overlap with Bobby, left Jeff Kazee, keyboard virtuoso with a great high tenor soul voice, as the partner in crime. And, as much as I love the work of Little Steven and Bobby Bandiera, the Jeff and Johnny combination is producing some stunning results as Southside takes more credit for his songwriting contributions and Jeff Kazee adds his voice to the mix as well; it’s a potent combination. In 2001, Southside released “Messin’ with the Blues”, an album of songs illustrating his love of blues, but also demonstrating the variety of styles within blues music; fourteen years later, “Soultime!” applies the same template to a cross-section of soul styles. It’s not too difficult to identify the influences, but the quality of the writing and the performances ensure that this is an album to be judged on its own merits. The opening track “Spinning” throws all the ingredients into the blender to create a manic Stax feel. Everything’s there, from the horn fills to the breakdown, building back up with John Conte’s bass, Jeff Kazee’s Hammond and Glenn Alexander’s guitar, to the call and response vocal and the big horn finish. There’s barely time to get your breath back before “All I Can Do” the mid-tempo Johnny/Jeff duet. The two voices combine perfectly and a sweet tenor sax solo from John Isley is the icing on the cake. “Don’t Waste my Time” could be early Jukes, musically and lyrically as Southside tells the ‘my girl done me wrong’ story supported by backing vocalists Elaine Caswell, Layonne Holmes and Catherine Russell before Neal Pawley steps up for a trombone solo. “Looking for a Good Time” is the album’s defining song. The inspiration for the album came from hearing “Superfly” in the booze aisle at the supermarket and watching how the shoppers reacted. “Looking…” captures the upful mood of Curtis Mayfield in 1970 perfectly; if anything ever made me wish I could dance, this is it. The namechecks in the lyrics say it all, really: ‘Isley Brothers and Curtis and Sly and Bobby Womack too’; it’s perfect. “Words Fail Me” is a mature love ballad with very tasteful backing (even drummer Tom Seguso is reined in), muted horns and a lovely flugelhorn solo from Chris Anderson; Johnny’s voice is sublime and it would melt a heart of stone. “Walking on a Thin Line” has a faintly menacing Latin feel evoking Isaac Hayes, The Temptations and The O’Jays but still totally Jukes. What comes next is a very rare thing indeed; an instrumental on a Jukes album. “Klank” is the love child of “Soul Finger” and “Third Stone from the Sun” with harmonica and tenor sax solos; they’re allowed to have fun as well, you know. Carrying on with the levity, “Ain’t Nobody’s Bizness” is a bit of light-hearted fun with a cast of Damon Runyon characters and a nod to “Check Mr Popeye” from way back when, which takes the intensity down a little bit before the final three songs. “I’m Not That Lonely” totally nails the Motown sound (Four Tops, anyone?) while “The Heart Always Knows” harks back to a much earlier time (Sam Cooke, or maybe The Cascades). It’s a slow, gentle ballad with some nice pizzicato strings courtesy of Jeff Kazee and acoustic guitar from Glenn Alexander and it takes off the heat for a few minutes before the final offering. “Reality” takes its influence from the psychedelic soul of the late sixties/early seventies with some interesting synth sounds and John Isley’s flute (and is that bass sax on there as well? ), strings and muted horns; it gets kinda busy in there at times. Southside Johnny set out to evoke a certain era of soul with this album; he wanted to make us feel good, the way we did when we first heard all of the great artists who influenced this album, and it’s an unqualified success. The arrangements perfectly capture the feel without sounding like The Faux Tops; he and The Jukes have created a perfect homage to music that was the soundtrack to the sixties and seventies. Over forty years down the line, he still has that raw, emotive voice that cuts through Hammond and horns and straight to the heart. Working with Jeff Kazee and the latest incarnation of The Jukes, he’s turned out a modern soul classic. “Soultime!” is released on September 1 on Leroy Records.